Such a magical time here, to be human. Shaping, creating and experiencing our future in motion. Be present, from a firmly rooted value system that is clear and bright and conscious of what is in support of these values, and what isn’t. 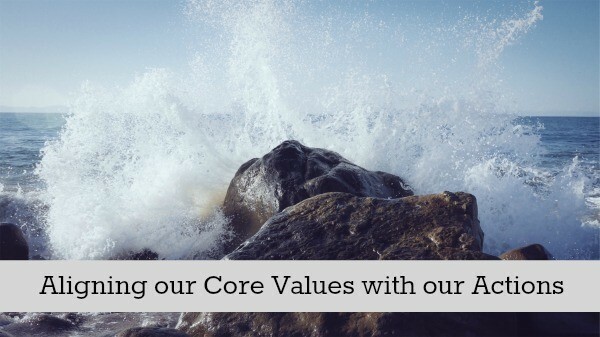 We offer insights on the importance of being clear about our deepest, core values and beliefs so that we can further align them with our beliefs, what we support and our actions. Sometimes what we consider as in alignment with our deepest values and passions is actually to the contrary. Do you value conformity perhaps at the expense of unique expression? Do you feel organization more than you value unpredictability? Do you believe we can have a system where everyone can follow their dreams but that no one gets left behind, regardless of their personal actions? The underlying energy patterns of freedom, free will, liberty and sovereignty often isn’t what we expect in terms of political and economic systems. Some political and economic structures are better suited to value individuality and personal freedom than others. Often for the sake of the “common good” as defined by another, individual freedoms are limited, sometimes severely. Is this in alignment with your deepest values? The infrastructures needed to support our expanding consciousness may not be available yet, anywhere on the planet. And yet, this awareness may be healthier than an illusion that another country’s model will suit us perfectly. For those in the US as a result of immigration, our ancestors left behind everything for the pursuit of “freedom” and a better life. Was it for a safety net and a comfortable future? Was it for the opportunity to pursue their dreams, which they did not feel was possible in their homeland? What are those ancestors whispering to us now, as we unfold our own future? Such a magical time here, to be human. Shaping, creating and experiencing our future in motion. Being present, from a firmly rooted value system that is clear and bright and conscious of what is in support of these values, and what isn’t. Note: I wasn’t feeling the benefits of blogtalkradio — exploring this format for sharing the live event and for accessing the audio archive. I use this format for re-membering workshops and online classes and have found it works very well. Check out the new website! If you find funky errors or mistakes, my apologies and please let me know so we can address them. Link to Red Ice Creation’s commentary (audio) “Why Sweden isn’t the Country You Thought it Was”.